Understanding the Real Economic Costs of an Arizona Car Accident | Phoenix Personal Injury Law Blog - Breyer Law Offices, P.C. 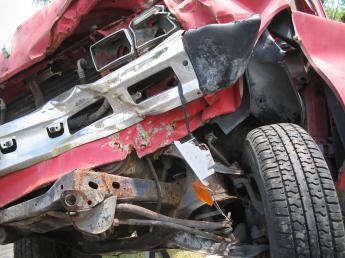 Over and over, experienced Arizona car accident lawyers see the real economic costs of a car accident. They know that the price of a crash is much higher than many Arizona drivers realize – and that a family can be affected by these costs for years after the accident. Car accidents cost residents of the state of Arizona an estimated total of $3.02 billion dollars each year. According to Reader’s Digest, this is enough money each year to purchase three major-league baseball teams, up to ten commercial planes, or an entire chain of islands. The average cost of a single car accident death in Arizona is $1.53 million. This amount includes medical expenses, funeral and burial costs, and the value of lost wages, investments, and services the deceased person would’ve provided to the family. An incapacitating injury costs an Arizona family $76,398 over the course of the injured person’s life, on average. A non-incapacitating injury comes with a hefty price tag as well: an average of $24,480 for medical care, therapy and treatment, and lingering impairments. Even a car accident that doesn’t cause any injuries costs an average of $9,486 in property damage – money few hardworking Arizona families can spare.